The MELSERVO MR-J4 series servo systems have been designed around four key future-embracing, past-revering, and user-centric concepts. These concepts are 'Machine', 'Human', 'Ecology' and 'Heritage'. With these powerful ideologies, the MELSERVO MR-J4 servo-motion systems will offer users the platform to build the next generation machines that require the J-series' hallmark superior performance mingled with industry operational safety trends, all the while saving users costly energy and precious real-estate. For our valued existing users, the MELSERVO MR-J4 servo motor and amplifier products will be a drop-in replacement for the MR-J3 series products. With a wide range of models and options, match your individual application needs with ease and comfort. Compliance to standards Refer to "Conformity with global standards and regulations" on p. 22 in this catalog. 1. 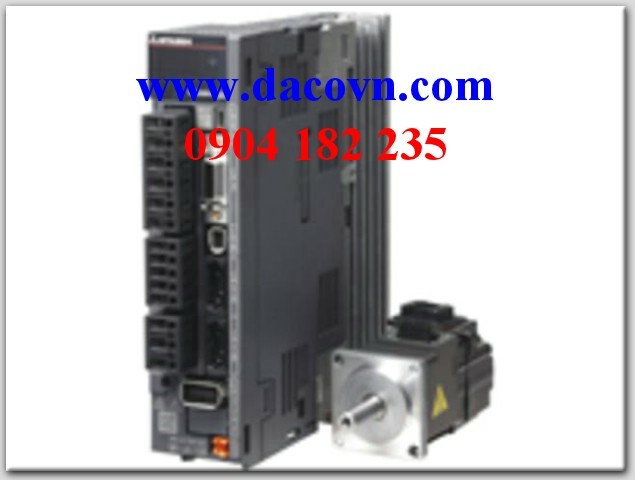 Rated output and speed of a servo motor are applicable when the servo amplifier, combined with the servo motor, is operated within the specified power supply voltage and frequency. 2. Optimal regenerative option varies for each system. Select the most suitable regenerative option for your system with our capacity selection software. 3. Refer to "Regenerative Option" in this catalog for the tolerable regenerative power [W] when regenerative option is used. 4. When using the built-in dynamic brake, refer to "MR-J4-_B Servo Amplifier Instruction Manual" for the permissible load to motor inertia ratio and the permissible load to mass ratio. 5. Terminal blocks are excluded. 6. When the servo amplifiers are closely mounted, keep the ambient temperature within 0 °C to 45 °C, or use them with 75% or less of the effective load rate. 7. This function makes a failure diagnosis on contacts including external circuits by instantaneously turning off the signals from a controller to a servo amplifier at constant period when the input signals of the servo amplifier are on. 8. Not compatible with pulse train interface (A/B/Z-phase differential output type). 9. The rated current is 2.9 A when the servo amplifier is used with UL or CSA compliant servo motor. 10. 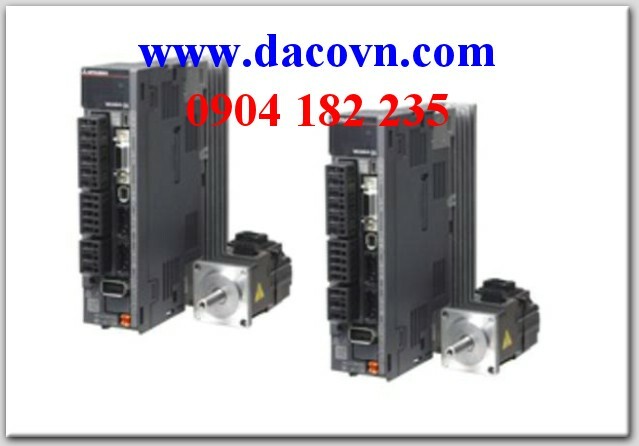 The load-side encoder and the servo motor encoder are compatible only with two-wire type communication method. 11. Fully closed loop control is compatible with the servo amplifiers with software version A3 or later. 12. 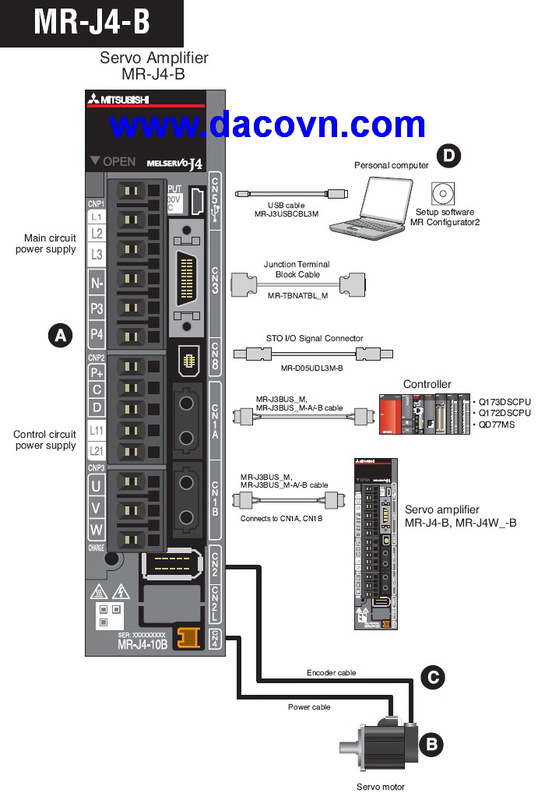 The command communication cycle depends on the controller specifications and the number of axes connected. 1. Refer to “Combinations of Linear Servo Motor and Servo Amplifier” in this guide for the combinations of the primary and the secondary sides of the linear servo motors.